The word Heichi, in japanese, means "juxtaposition". In this yarn, you will see exactly that - a fascinating blend of old and new. Rustic beauty and traditional elegance combine in this raw silk tweed yarn with a distinctly modern edge. Heichi has been discontined - sale is limited to stock on hand! 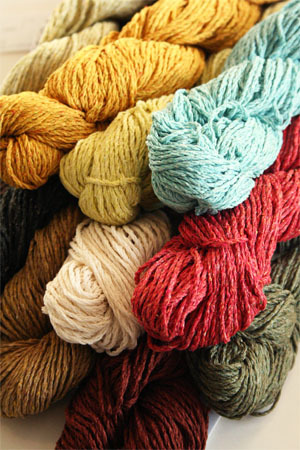 Please note: this yarn has been discontinued by SHIBUI - stock is limited to what we have on hand!